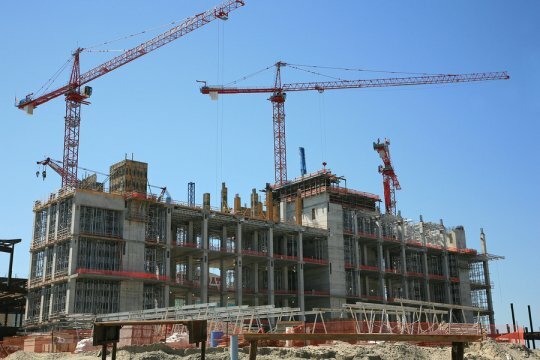 A commercial construction project requires that many different elements come together to create a safe building that is structurally sound and built to the client’s specifications. As you are planning ahead for your next commercial construction project, it is a good idea to find a reliable scaffold resource in your area. With a durable scaffolding installation, you can help to streamline the building process. Read on for an overview of some mistakes that should always be avoided in commercial construction. In order for a commercial construction project to run smoothly and meet all of its deadlines, every party involved needs to communicate clearly and effectively. Bad communication can lead to faulty workmanship or building elements that are not built according to specifications. Before you start work on your construction site, it is a good idea to hold a meeting with all of the contractors present. From scaffolding rentals to electrical wiring and more, there are many different materials and elements that will need to be brought to your construction site, throughout the building process. If you do not schedule deliveries on time, construction could be halted for hours or even days. A logistics document can help you make sure that you have timed every aspect of your project correctly. If every stage of your project goes according to plan, you should be able to finish within your allotted budget. However, you will want to always plan ahead for the unexpected. A contingency fund will provide you with the financial resources that you need to address unforeseen issues during the construction process. For assistance during your commercial construction project, contact Scaffold Resource by calling (301) 924-7223. Our team can provide you with a sturdy scaffold in Washington, D.C. , and we will be happy to tell you more about our construction scaffold rental services. We look forward to helping you make sure that your commercial construction project is executed to perfection. The team at Scaffold Resource is pleased to have worked on many different high profile projects throughout the Washington, D.C. area. 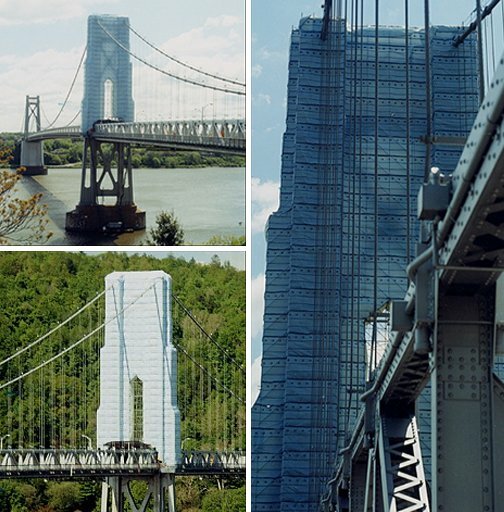 Our scaffold rental services have been important components of many different bridge construction projects around the East Coast. In recent years, we provided scaffolding for the restoration of the Chesapeake Bay Bridge. Our team was also involved in stabilizing the Mid-Hudson bridge during its last restoration. Each bridge project has required us to work diligently to make sure that the bridges were able to remain open while they were being restored. Our scaffolding also needed to withstand the high winds that can occur over suspension bridges. For additional information about how we can help you buy scaffolding in Washington, D.C., be sure to get in touch with the team at Scaffold Resource . Our top rated scaffold rental company will be there to help you complete your project safely. Give us a call at (301) 924-7223 to learn more about our recent scaffolding projects. Shoring erection is an essential component of many renovation projects. When you watch this video, you will take a quick look at the basics of how shoring works. During a shoring erection, a contractor will create a stabilizing structure that prevents the load bearing walls of a building from collapsing. With a properly installed shoring installation, you can make sure that your job site is safe. If you have questions about shoring near Washington, D.C., be sure to contact Scaffold Resource by calling (301) 924-7223. From scaffold rental to construction shoring, we are pleased to provide our clients with a variety of services. Our team looks forward to helping you with your next renovation or restoration project. While it is important to be aware of safety risks when you are erecting and using your scaffolding rental, you will also want to make sure that you take the time to dismantle your scaffold carefully. After your project has been completed, your workers will need to carefully take your scaffolding system apart so that it can be returned to the rental company . Here is an overview of some safety issues to be aware of when you are dismantling scaffolding. In order to dismantle a scaffold, your crew will need to climb up on its highest platform and work their way down. To prevent an accident or injury during the scaffold dismantling process, it is important to inspect your scaffold to make sure that its structural integrity is intact. Once the scaffold passes inspection, you can begin the dismantling process. When your crew of workers dismantles a scaffold, they should always work from the top down. Taking apart the lower levels of a scaffold before the higher units have been dismantled could compromise the structural integrity of the scaffold system. Starting from the top will ensure that your workers remain safe when throughout the dismantling process. Throughout the dismantling process, your crew should be carefully inspecting each component for signs of damage or structural issues. Rather than returning these components to the warehouse, you will want to repair them so that they do not pose a safety threat to future scaffold crews. If you are in need of a quality scaffolding rental serving Washington, D.C. , get in touch with Scaffold Resource. 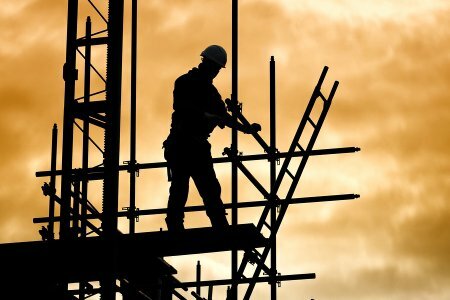 Our company offers construction scaffold rental to a variety of different contractors, and we will be able to assist you with the safe set up and take down of your scaffold system. Give us a call at (301) 924-7223 to set up a scaffold rental for your project today.